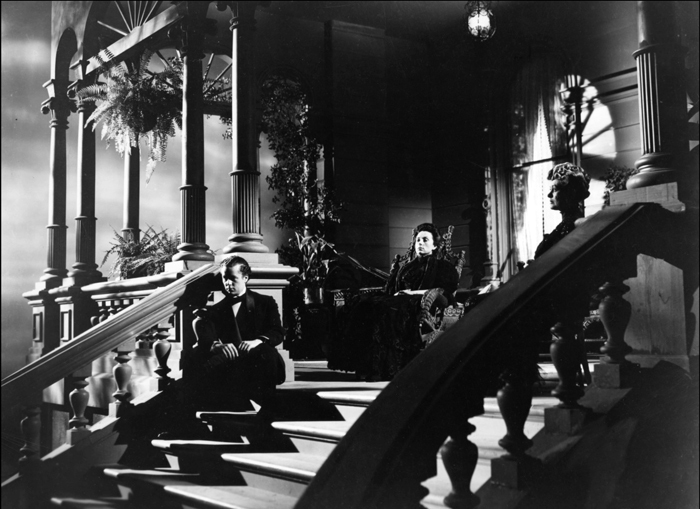 The Magnificent Ambersons (1942). Production still from lost scene. This is the third blog entry amplifying on the paperback edition of Reinventing Hollywood: How 1940s Filmmakers Changed Movie Storytelling. This mini-series tries to enhance the book’s arguments by taking into account books and DVDs that have come out since the hardback publication in 2017. (Previous entries are here and here.) Today I want to talk about what T. S. Eliot called “tradition and the individual talent” in a realm Eliot would disdain: American studio cinema. Reinventing Hollywood offers itself as an alternative to two major ways of understanding the films of a period. 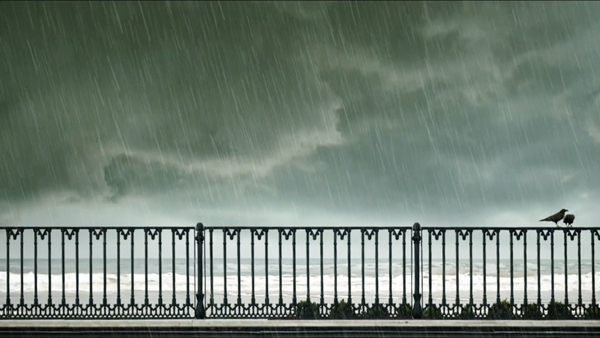 One angle is to see creativity flowing from gifted filmmakers. 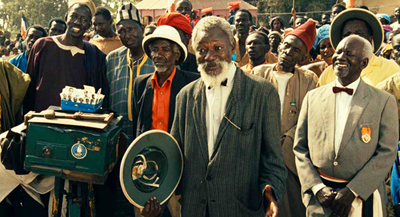 The story often concentrates on how they have to struggle against the constraints of the film industry. In the Forties, Orson Welles would be a prime instance, though Preston Sturges and others could also be invoked. Without denying the talent and originality of key filmmakers, and without neglecting the stubborn ignorance of many executives, I wanted to show that in many ways creativity can be enabled by the conditions of the industry. Genre is an obvious instance. Without the Western, where would John Ford be? The musical brought out the gifts of Minnelli and Donen, just as the crime film spurred Huston and Anthony Mann. I wanted to suggest that filmmakers were challenged to work with other normative factors than genre—factors centering on how stories were told. Writers and directors collectively amassed a menu of narrative options, from flashbacks to voice-overs, that got quite refined in the course of a dozen years or so. Some sympathetic readers have considered the book anti-auteurist because I emphasize those pooled resources that any filmmaker, weak or strong, could draw upon. To some extent, that’s right: stretches of the book resemble “art history without names.” Tony Rayns warned readers that they should read Reinventing Hollywood with Leonard Maltin’s Movie Guide at hand. Not a bad idea. A single paragraph compares A Child Is Born (1940), One Crowded Night (1940), Busses Roar (1942) and Dial 1119 (1950). 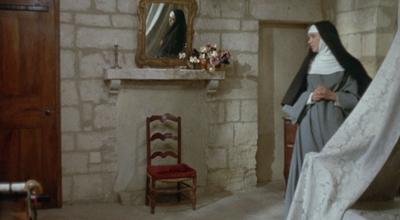 None of them is exactly a lustrous classic, and I didn’t mention the directors or the screenwriters. My main point is that these films play out variants of the Grand Hotel plot, and they show how even artisans can take the opportunity to revamp current norms. So for my project, creators of whatever rank matter. In the course of my research, it struck me that three “creative producers”–Hal Wallis, David O. Selznick, and Darryl F. Zanuck–are as important as many directors. The same goes for screenwriters, such as Casey Robinson, Vera Caspary, and Ben Hecht. And now that we have biographies of Victor Fleming and William Wellman, we’re starting to understand the importance of skilled directorial artisans. I’ll take even so-so craftsmen (and craftwomen) if they can teach us secrets of Hollywood carpentry. 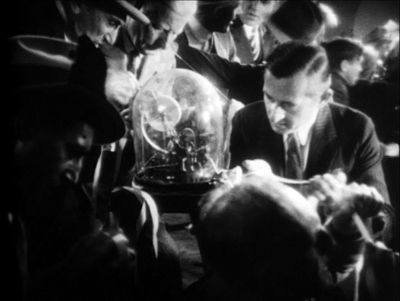 Charles Lang and Walter Lang are no Fritz Lang, but they made more popular films, and we can study the ways they instantiate filmmaking norms. Andrew Sarris claimed that “Curtiz reflected the strengths and weaknesses of the studio system,” and most writers have agreed. 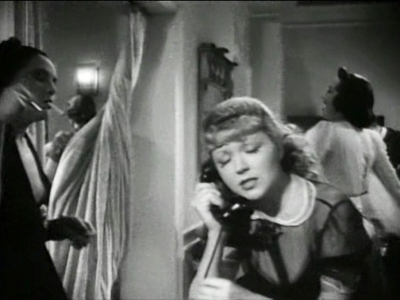 Although Curtiz is mentioned by name only twice in Reinventing Hollywood, I draw examples from ten of his films, from Four Daughters (1938) to Young Man with a Horn (1950). I devote most space to Passage to Marseille (1944). Mildred Pierce (1945) is absolutely central to the book’s arguments, but as I’ve written about it before, both in print and online, I didn’t rehash my argument in the book. 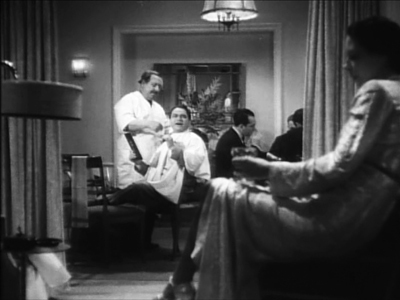 Which is to say, I guess, that Curtiz exemplifies what I was analyzing. He was a master craftsman who has a lot to teach us about norms, both inside and outside Hollywood. 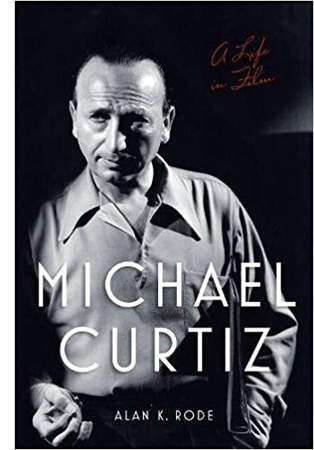 Alan K. Rode’s biography, Michael Curtiz: A Life in Movies, focuses on the man and his accomplishments, and it paints a vivid portrait of a director of intense creative and sexual appetites. He also liked polo. Drawing on memos, production records, and memoirs published and unpublished, Rode provides brisk, telling background on dozens of films. He dwells, as you’d expect on the milestones: Noah’s Ark, the early 30s horror films like Dr. X, Angels with Dirty Faces, Yankee Doodle Dandy, Casablanca, and the Flynn vehicles. But he doesn’t neglect the fleet-footed programmers like The Kennel Murder Case (1933) and The Case of the Curious Bride (1935), projects enlivened with fancy angles, propulsive pace, and bold tracking shots. On-the-set anecdotes keep things lively. Rode is careful to debunk some of the most famous stories, but he leaves a lot of good ones in. His conversational style is likewise engaging. He compares Peter Lorre to “a sinister kewpie doll” and calls Alexis Smith lissome, using a word I had forgotten exists. Although Rode isn’t as interested in the questions I pursued, his book set me thinking about creativity in the studio system. Specifically, we can broaden our view of Curtiz’s career, which ran from 1912 to 1962, and see it as encapsulating some major trends in commercial entertainment cinema, inside Hollywood and out. Starting well before DeMille, Ford, Hitchcock, Hawks, Walsh, and other Hollywood auteurs, he was initiated into the standard tableau style of the 1910s. 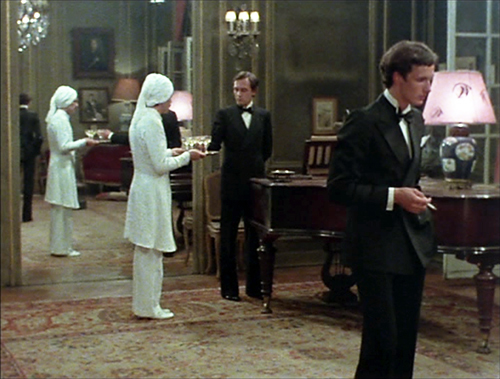 Fairly distant shots in long takes relied on deep sets, staging and performance. Cutting was used principally to shift the scene, show adjacent locales, or occasionally enlarge a detail. 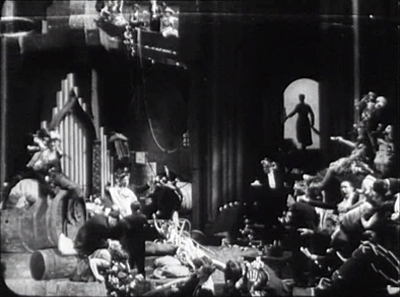 The Undesirable of 1914 (available in a stunning restoration distributed by Olive) shows fairly orthodox choreography of figures in depth and across the frame, with foreground figures masking irrelevant background action. Apart from Lubitsch and DeMille, most of the directors who had long careers in the studio system didn’t come out of tableau cinema. 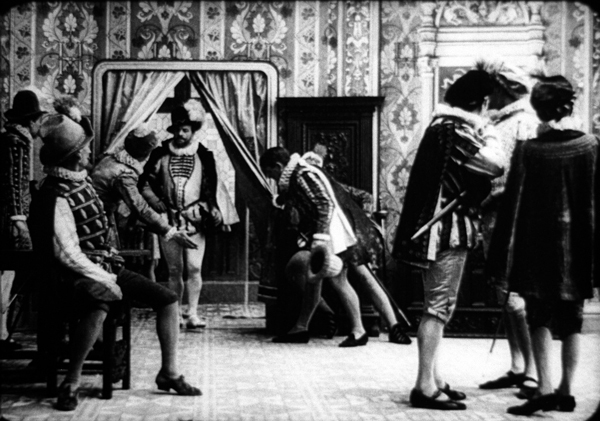 They began by practicing the rapid editing and close-up framings that emerged in America in the mid-1910s. Curtiz was more or less up to speed with them in his stupendous Viennese production Sodom und Gomorrha (1922, available on a well-restored DVD version). He breaks up vast shots with axial cuts, close-ups, and occasional reverse angles. This nutty film, surely one of the biggest productions of the day, used kitschy modern sets for the contemporary story, expressionist ones (with cadaverous jailers) for dreams, and gigantic pseudohistorical ones for Biblical bacchanals. 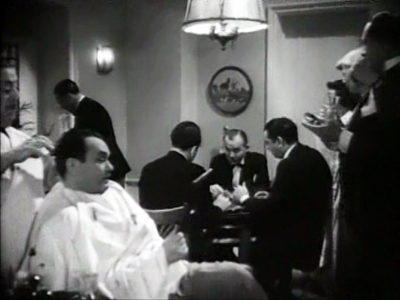 His first American film, The Third Degree (1926), tries to bring into Hollywood some fashionable European stylization. 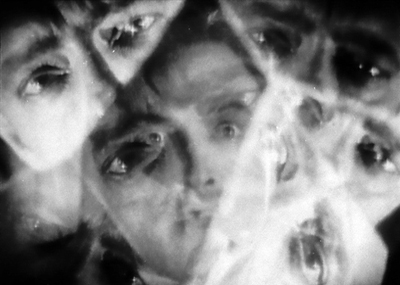 Curtiz showcases flashy camera movements, rapid rack-focusing, swift montage, and distorted subjectivity reminiscent of French Impressionist cinema. The specific reference is Dupont’s Variety (1925). 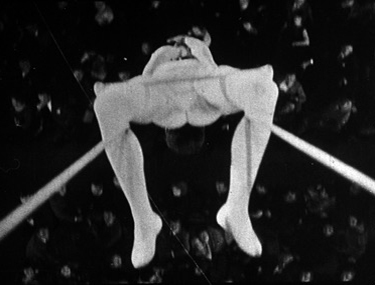 Curtiz’s tightrope shots mimic Dupont’s trapeze angles, and prismatic superimpositions of eyes during the cops’ third degree recall the swirl of the spectators’ eyes in Variety. 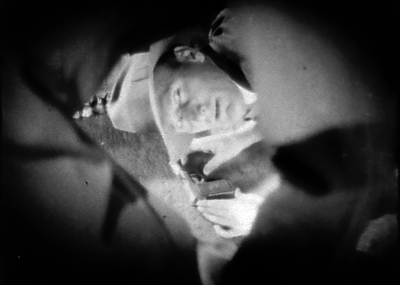 When a detective drops down to investigate a clue, Curtiz doesn’t hesitate to cut to a skewed view framed by the arm and leg of his crouching colleague. 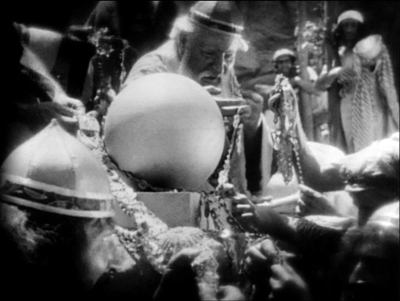 Much of Noah’s Ark (1928) uses standard silent-film continuity style, although Hal Mohr’s lighting sparkles even more than in The Third Degree. 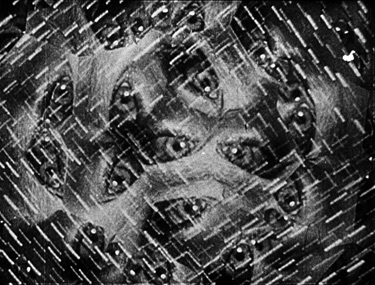 Curtiz’s opening montage relies on wide-angle compositionss of a type resembling Murnau’s late silent pictures. Here we dissolve from Biblical worshippers of gold to modern stockbrokers, and the dense packing of figures recalls William Cameron Menzies’ work of the same period. 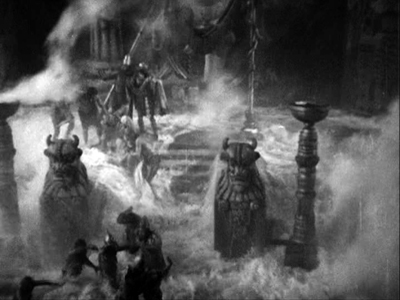 But Curtiz’s most flamboyant effects are reserved for the spectacle, especially in the preposterously vast flood scenes with devastation that recalls the rain of fire in Sodom und Gomorrha. In his sound pictures Curtiz was less outré, but he never lost his taste for momentary flourishes. 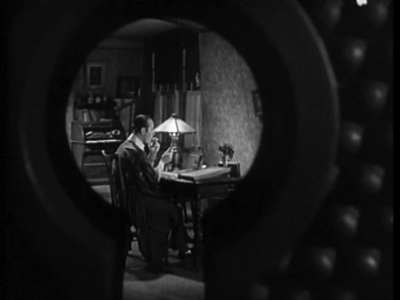 Anybody who starts a film called The Keyhole (1933) by moving the camera through a keyhole gets points from me. Curtiz made his name as a master of crowd effects, and he didn’t shrink from handling groups in tight interiors. 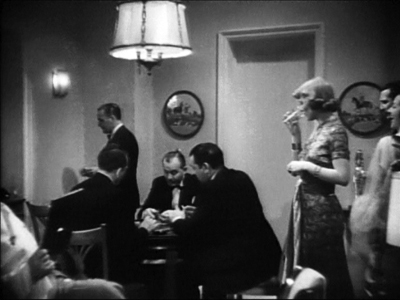 A hotel-suite party in Kid Galahad (1937) runs thirteen minutes and is packed with movement. 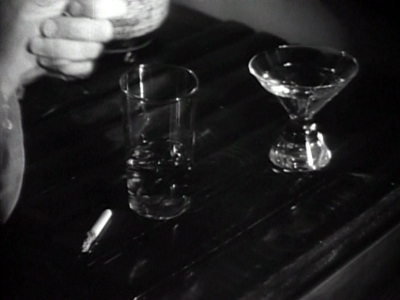 The first shot starts on a phonograph, two abandoned drinks, and a carelessly smoldering cigarette–details indicating a wild party, and setting up the importance of serving drinks in the scene to come. Tilt up to a mirror that hints at a space we’ll soon visit. 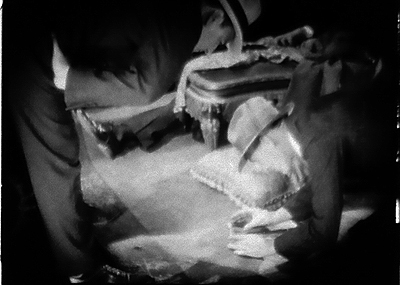 As these Kid Galahad shots show, Curtiz favored low angles and moderately wide-angle lenses to jam his figures together. In the party scene, he multiplies setups freely, almost never repeating one exactly. (Compare the slightly different framings of the second and third image.) The confrontation of two prizefight gangs is played out in a tricky mirror shot. 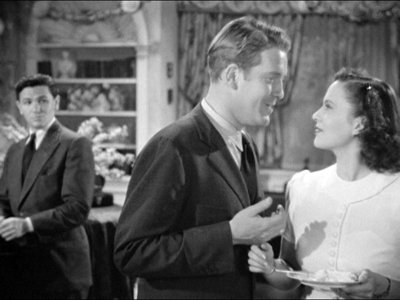 By comparison, W. S. Van Dyke’s handling of an apartment party in The Thin Man (1934) looks timid. 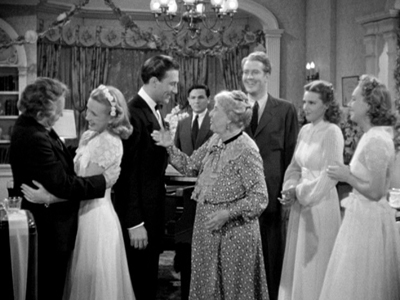 Watch Four Daughters (1938) and Four Wives (1939) to see how adroitly you can choreograph a big bunch of people strewn around a parlor. 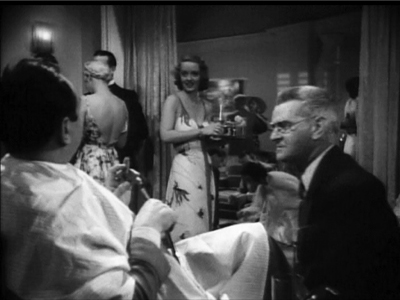 In the first film, Curtiz never lets us forget the defensive outsider Mickey (John Garfield), disturbed by this loving household and shielding himself behind the piano. Some might say that Curtiz’s use of “distant depth” is less heavy-handed than Welles’ in-your-face foregrounds in Kane, three years later. 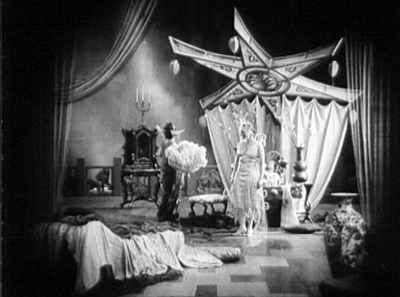 Rode shows how Curtiz managed to control his films while shooting. From the start, in The Third Degree, he freely added scenes to the script. Thereafter, producer Hal Wallis railed at his “overshooting” with more angles than most directors would use, and he added props and actors without permission. 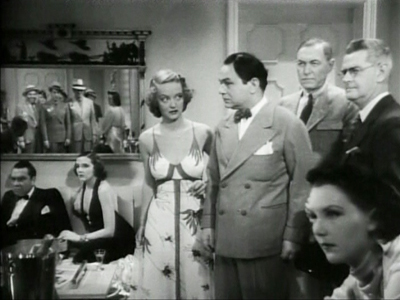 Hawks, Hitchcock, and Ford would work uncredited on the screenplay, but Curtiz simply changed the script on the fly. As he gained more authority, he prepared new dialogue and business at night with his wife Bess Meredith. Often over budget and schedule, constantly berated by his bosses, Curtiz got away with it all because the films were usually successful and critically acclaimed. Besides, the complaints usually came too late; he was already at work on the next movie. In some years he turned out six features. He’s a good example of a how a vigorous Hollywood artisan could leverage the system through both craft and craftiness. I can’t foreswear auteurs altogether. Reinventing Hollywood does spare some time for Preston Sturges, Mankiewicz, Hitchcock, and a few others. Most extensively, Reinventing discusses Welles and Hitchcock as directors who shaped 1940s storytelling conventions and then had to respond to others’ use of them. I’m again trying to set auteurist claims in a wider context, that of a flourishing ecosystem of creative choices. Just as important, both directors continued using 1940s strategies throughout their later careers. Welles’ importation of Theatricalist stage theory into film, along with his reliance on flashbacks, voice-over, and embedded stories, are central to his later work. Research on Welles never stops, and so I’m happy to welcome new developments. There’s of course the rehabilitation of The Other Side of the Wind, which features flashback construction, films-within-the-film, voice-over, and other preferred Wellesian tactics. 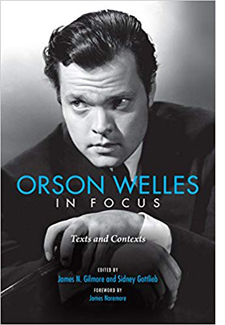 Now we also have Orson Welles in Focus, edited by James N. Gilmore and Sidney Gottlieb, with an introduction by James Naremore. It’s a set of papers from a 2015 centenary conference on Welles at Indiana University, and they’re all stimulating and wide-ranging. Margaret Rippy reveals the roles of Asadata Dafora and Abdul Assen in collaborating with Welles on the 1936 Macbeth, while Catherine L. Benamou, an expert on It’s All True, shows how the episodes open up different options for transcultural critique in the documentary mode. Welles’ 1946 Broadway musical Around the World gets careful consideration by Vincent Longo, who intriguingly relates it to Bazin’s contemporaneous reflections on theatre and film. 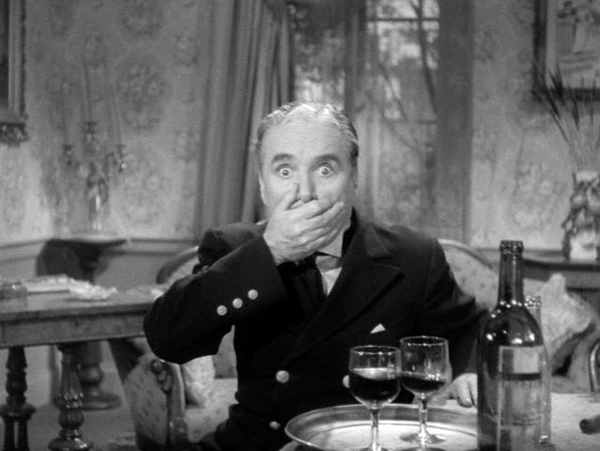 François Thomas incisively exposes the financial and legal tangles around Mr. Arkadin (1955). Welles the fighting liberal gets important attention in two essays. Sidney Gottlieb, who has been assiduously collecting Welles’ writings for years, surveys the director’s journalism for The New York Post. Similarly, James N. Gilmore scrutinizes Welles’s 1946 correspondence, where he continued to denounce racism and antisemitism. The two essays most relevant to Reinventing Hollywood touch on Welles as cinephile and Welles as storyteller. Matthew Solomon provides a detailed account of Welles’ love of “old-time movies.” Solomon is especially enlightening on Welles’s fondness for citing films made before his birth, as if there he found the most powerful images of “pastnesss.” Shawn Vancour traces how Welles’ use of first-person narration in the 1938 War of the Worlds broadcast develops norms of radio storytelling that were emerging at the moment. 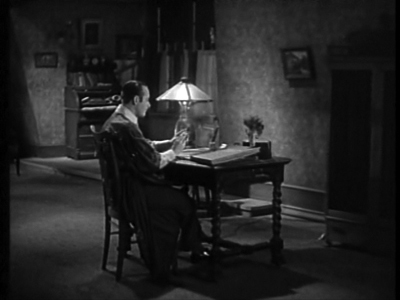 Using manuals for radio scriptwriting, Shawn shows that Welles’ shifts between present and past, first-person and third-person narration became common in the years that followed. Both of these essays enrich points I tried to make in my book. 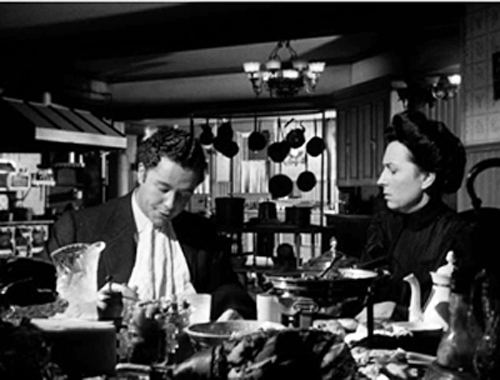 Then there’s that triumph of modern DVD publishing, Criterion’s long-awaited version of The Magnificent Ambersons. A gorgeous transfer is accompanied by a booklet of discerning essays by Molly Haskell, Luc Sante, Geoffrey O’Brien, Welles himself (on his father), and Farran Smith Nehme (on Welles’ speaking voice, which definitely deserves analysis). On the AV bonus front, producer Issa Clubb has wisely retained many items that made the company’s pioneering 1986 laserdisc release a demo of what that format could deliver. We get Robert Carringer’s sensitive voice-over commentary, an audio recording of Welles’ radio adaptation of Tarkington’s novel, some interview bits of Welles discussing the film, and the remaining clips from Pampered Youth (1925), an earlier adaptation of the book. We’ve unfortunately lost Carringer’s visual essay on the film’s style, and Welles’ storyboards and shooting script, rendered in that single-frame technology that made CAV discs clunkily hypnotic. But the new material more than compensates. Clubb has turned a treasure chest into a cornucopia. We get a second Mercury Theatre radio play, this one based on Tarkington’s Seventeen. A second audio commentary track, featuring James Naremore and Jonathan Rosenbaum, finds illuminating new things to say about this all-but-masterpiece. 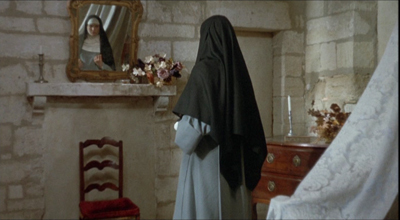 I also learned an enormous amount from François Thomas’s essay on the mix of cinematography styles in the film, which he tracks through daily production reports. Stanley Cortez, whom Kristin and I once interviewed across two fruitless hours, was only one of several DPs working on the movie. 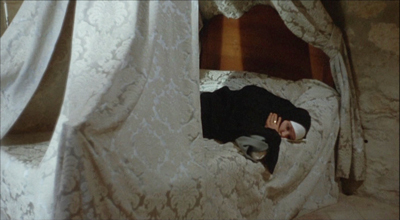 Christopher Husted shows how the careful parallel scenes of the full-length version received delicate scoring by Bernard Herrmann, who took his name off the film when RKO recut it. A panoply of interviews with Welles, Simon Callow, Peter Bogdanovich, and Joseph McBride is sure to interest old fans and newcomers. The story of Ambersons will never grow old, and we’ve made remarkable progress in understanding its intricacies. Welles went to Brazil at the behest of the US government, to make a film supporting the “Good Neighbor” policy toward South America. Shooting on Ambersons finished in January 1942, and Welles left his notes with Robert Wise, the film editor who was to oversee postproduction. Wise was to bring a draft result to Welles in Rio, where they would fine-tune it. But wartime travel restrictions, and perhaps RKO’s reluctance, kept Wise at home. In the trade papers, RKO claimed that Welles was fully engaged in finishing and cutting Ambersons in Rio. “Orson Welles So Tireless, Cuts ‘Ambersons’ by Wireless,” ran a rhyming headline in Hollywood Reporter. 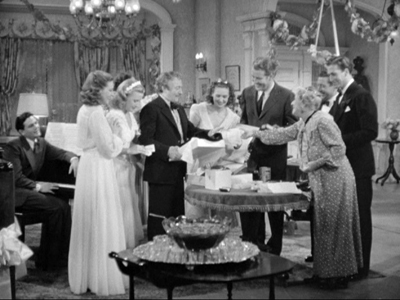 The first sneak preview was reported as being 2 1/2 hours, a second around two hours, but Robert Carringer in his authoritative study, The Magnificent Ambersons: A Reconstruction, has suggested on the basis of production correspondence that the first preview version probably ran about 101 minutes, the second around 117. 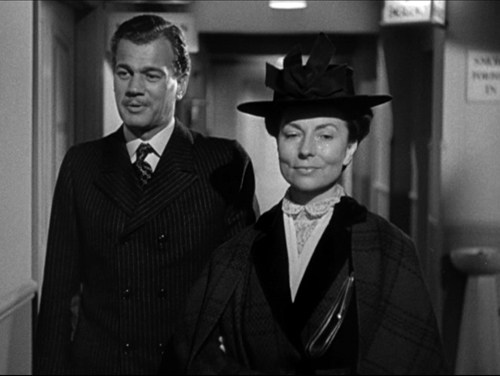 Reacting to harsh audience criticism, Welles’ associates at RKO decided that film had to be cut and new scenes had to be shot. Joe McBride’s Criterion interview exxplains that the studio had lost faith in the project and was ignoring the detailed instructions that Welles sent by cable. By this time, because of contract renegotiations after Kane, Welles no longer had right of final cut. But RKO continued to claim, as in this 29 April Variety story, that the director was fully on board. Actually, two weeks earlier, Carringer tells us, studio head George Schaefer had transferred authority over the final cut to Wise. The studio announced that changes were being made, though they seem never to have been specified. Press releases built on Hollywood’s continuing dislike of the boy genius. One story was put out that Welles had demanded that Joseph Cotten send him “weekly shipments of Chinese dishes” by air, as if defying wartime privation. 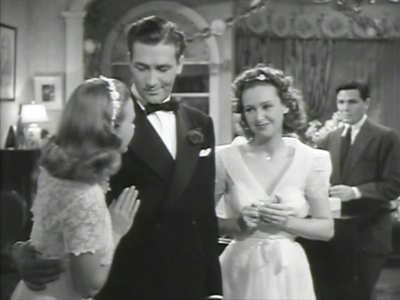 Ambersons had been planned as a “special” alongside other big RKO-distributed titles (The Pride of the Yankees, Bambi), and aiming at an Easter release. Instead, it was eventually absorbed into a block of titles, which was the standard way of packaging A and B pictures together. 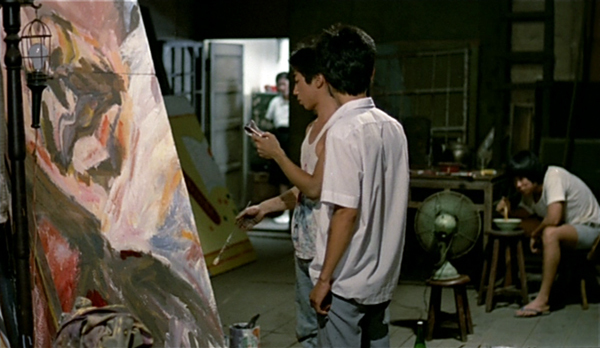 The recutting pushed the film’s release into the doldrum days of summer, the graveyard for second-tier product. After a July debut in Los Angeles, it didn’t appear in New York until August. Box office was initially good in some venues, but nothing compared to the big hits of 1942: Mrs. Miniver ($5.4 million in rentals), Yankee Doodle Dandy, Random Harvest, Reap the Wild Wind, Holiday Inn, The Road to Morocco, The Pride of the Yankees, and Wake Island. A quick sampling of newspapers around the country shows that into the fall, the film sometimes appeared alone on a program (even in La Crosse, Wisconsin). Elsewhere it seems to have been the top of a double bill that includes such items as Syncopation, Her Cardboard Lover, Little Tokyo, USA, Ellery Queen’s Desperate Chance, and most notoriously, Mexican Spitfire Sees a Ghost. 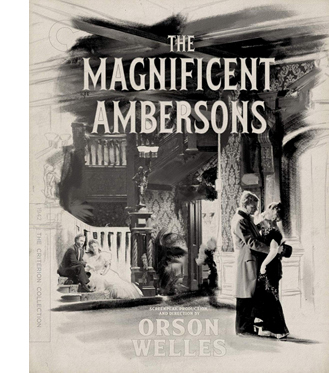 Was it Ambersons that sank Welles’ future? Some have said so. 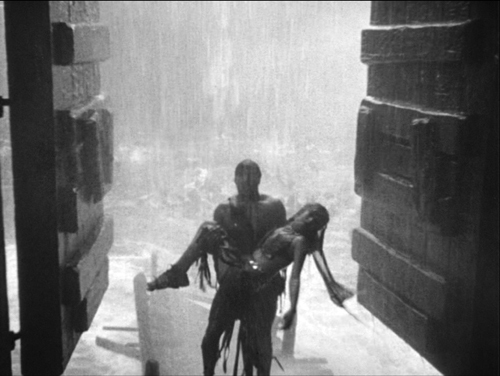 According to a 1952 record of RKO profits and losses across the studio’s history, the film was claimed to have lost $620,000. Before that, only Abe Lincoln in Illinois (1940) was registered as a bigger flop for the studio. McBride’s interview explains that the Amberson debacle was part of a larger effort to undermine Welles. RKO was in turmoil, having lost many key executives. Building off his book What Ever Happened to Orson Welles? A Portrait of an Independent Career, Joe suggests that after the problems with Ambersons and Welles’ departure for Rio, factional fights broke out among the suits. 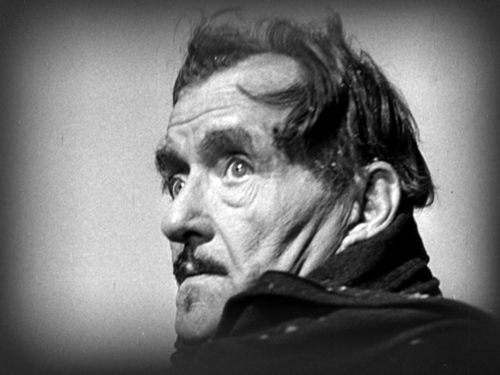 Schaefer, attacked for the disappointing box office of Kane, was caught between defending Welles and trying to save his job by cutting Ambersons. Executives worked to sabotage Welles’ next project as well. One powerful piece of evidence that Joe discovered shows that RKO lied to Welles about the budget for It’s All True, so they could attack him for imaginary overruns. In his interview and book Joe reveals that Welles was under budget by over $440,000 when he was fired for going over budget. 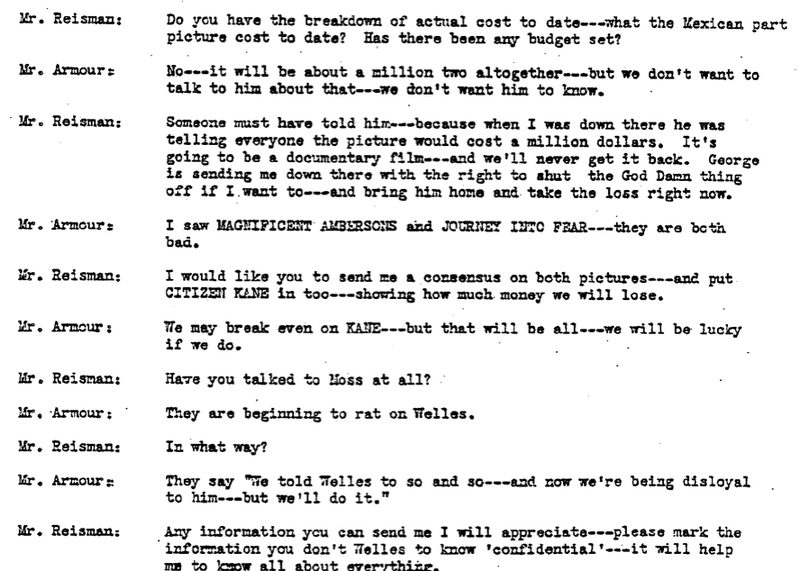 Joe also cites a damning transcript of an April 1942 conversation between two RKO executives, Phil Reisman and Reginald Armour, who conspired to keep information from Welles. The reference is to Jack Moss, Welles’ business manager. Reisman and Armour go on to discuss the possibility of getting Welles drafted and speculate what could be salvaged from It’s All True–perhaps a couple of shorts?–and Armour adds: “George will lose his job out of this.” Schaefer was fired from RKO at the end of June. Soon after the release of Ambersons in July, Welles’ Mercury unit was moved off the RKO lot. Welles returned from Rio still hoping to rescue It’s All True, but soon he would become a director for hire. The Criterion disc release reminds us of how original Welles was in his storytelling strategies. 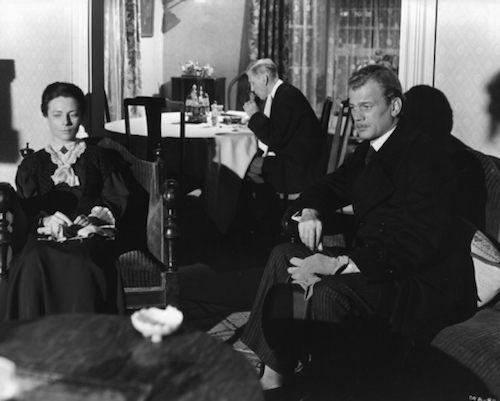 Reinventing Hollywood argues that in Ambersons Welles found a fresh way way to treat time shifts. He keeps major action offscreen and prior to the scene we see, so that each character becomes a narrator reporting action to others, without benefit of flashbacks. The famous scene of Fanny and George in the kitchen is a good example, as he tells her that Eugene joined their trip to the college commencement. There are many other examples; nearly every scene’s dialogue reaches back to the recent or distant past. This rather literary strategy of replacing showing by telling echoes the narrative strategies of Henry James and Joseph Conrad–the latter a writer whose work influenced Welles strongly. In the 1940s Hollywood context, all this recounting in retrospect constitutes a “knight’s move,” a swerving response to the emerging flashback conventions of the time. I believe that Welles rethought his radio brand, “First Person Singular,” for Ambersons. 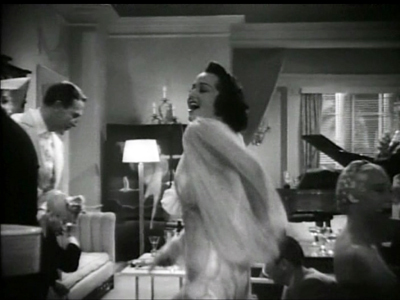 Welles’ original ending, which shows Eugene and Fanny reminiscing in her boarding house, was in keeping with this strategy of suppression. Eugene recounts the resolution we haven’t seen: the reunion of George and Lucy, and George’s contrite reconciliation with Eugene. “We shook hands.” Ending with George and Lucy, the new generation, would have been conventionally upbeat, but Welles wanted to linger on the old people–one the automobile pioneer, the harbinger of dubious progress, and the other a castaway of plutocratic pride and self-absorption. The reshot scene in the hospital corridor exudes a hollow cheerfulness that generations of critics have rightly found a travesty. This hospital shot lacks the pathos of Welles’ scene, in which a numb, impoverished Fanny is left alone while Eugene drives back into the grimy city. 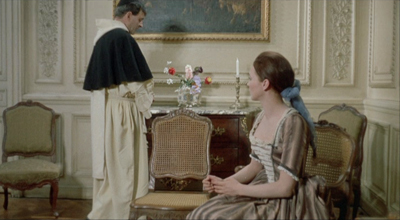 Still, at least the shot preserves much of the original dialogue and it sustains a narration that keeps crucial events (George’s apology and the lovers’ reunion) offscreen and in the past. To the end, action is replaced by reaction–or rather, by reflection. My title today is a bit misleading. The artist/artisan distinction is fuzzy. Curtiz and Welles are both. The difference might come down to this: The creators we call artisans are adept at solving problems set by tradition or their contemporaries. But those we deem artists think up new problems and solve them with aplomb. They may even set themselves problems that seem ridiculously constraining (such as Ozu’s decision about low camera height). In any case, we need to recognize craft in any medium, because that helps us appreciate achievement of every sort. I owe a big debt to Joseph McBride for his careful checking of earlier drafts of the Welles section of this entry. His What Ever Happened to Orson Welles is an indispensable guide to the director’s career. Any mistakes or misjudgments that remain in this entry are my doing. Thanks as well to Eric Hoyt for help on RKO financial information. Joe also points out that Simon Callow’s Criterion interview contradicts other researchers’ findings about Welles’ calls and cables from Brazil. In addition, I wonder whether Rode’s citations of the Curtiz films’ grosses shouldn’t be called their rentals–that is, the chunk of the gross box-office receipts returned to the studio. 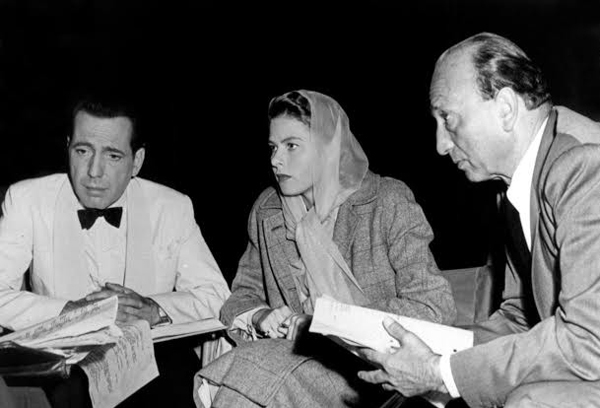 For example, he lists Casablanca‘s grosses as being $$4.496 million. This is close to Variety‘s figure of $4.145 million for the film’s rentals. See Lawrence Coh, “All-Time Film Rental Champs,” Variety (24 February 1992), 164. Typically a picture’s rentals were about half of its gross. Patrick Keating’s new book The Dynamic Frame: Camera Movement in Classical Hollywood calls the kind of tracking shot in Kid Galahad the “follow and switch.” He has much to say about Curtiz’s work in his fascinating account of how Hollywood filmmakers thought about and deployed the moving camera. 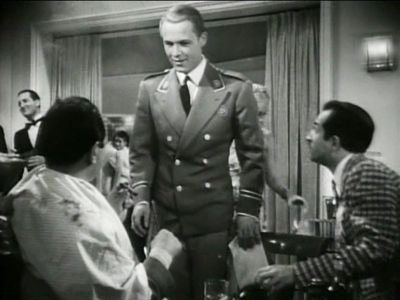 Curtiz would likely have seen Dupont’s Variety during his stay in Austria, or even in the US in 1926; it played Los Angeles in June and New York in July. Curtiz arrived in the US on 6 June 1926, and The Third Degree was released on 26 December. As Rode points out (p. 77), the trade paper Variety saw an affinity between Curtiz’s film and Dupont’s, though the reviewer scoffed at the “trick camera stuff” and “freak shots” (5 January 1927, p. 17). I consider Casablanca in this entry, which ties in both to Reinventing and to Pauline Lampert’s podcast Flixwise. My fullest discussion of Ambersons online is here; the section in Reinventing is somewhat different. On Welles the silent-era cinephile, this entry on his centenary is also relevant, as is this later one. The following errors are in the hardcover version of Reinventing Hollywood but are corrected in the paperback. p. 9: 12 lines from bottom: “had became” should be “had become”. Horrible. p. 93: Last sentence of second full paragraph: “The Killers (1956)” should be “The Killing (1956)”. Duh. I try to do the film, and its genre, justice in another entry. p. 169: last two lines of second full paragraph: Weekend at the Waldorf should be Week-End at the Waldorf. p. 334: first sentence of third full paragraph: “over two hours” should be “about one hundred minutes.” What was I thinking? Having spent decades of proofing both music and lyrics, I now surrender to the inevitability that no matter how many times you reread what you’ve written, you fail to spot all the typos and oversights. Sondheim adds, a little snidely, “As do your editors,” but that’s a bridge too far for me. So I thank the blameless Rodney Powell, Melinda Kennedy, Kelly Finefrock-Creed, Maggie Hivnor-Labarbera, and Garrett P. Kiely at the University of Chicago Press for all their help in shepherding Reinventing Hollywood into print. On the set of Casablanca. Dust in the Wind (1986). I was born to write this book. So I rashly claim in the Preface to the new edition of On the History of Film Style. That’s not to say somebody else couldn’t have done it better. It’s just that the book’s central questions tallied so neatly with my enthusiasms and personal history that I felt an exceptional intimacy with the project. Baby-boomer narcissism aside, there are more objective reasons for me to tell you about the book’s revival. It came out in late 1997 from Harvard University Press, and it went out of print last fall. Thanks to our web tsarina Meg Hamel, it has become an e-book, like Planet Hong Kong, Pandora’s Digital Box, and Christopher Nolan: A Labyrinth of Linkages. The new edition is substantially the original book; the pdf format we used didn’t permit a top-to-bottom rewrite. Errors and some diction are corrected, though, and the color films I discuss are illustrated with pretty color frames, not the black-and-white ones in the first edition. The new Preface and a more expansive Afterword explain the origins of the book and develop ideas that I pursued in later research. 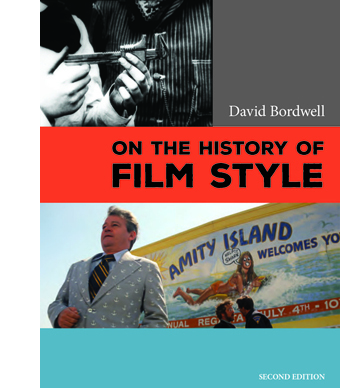 The book analyzes three perspectives on film style as they emerged historically. 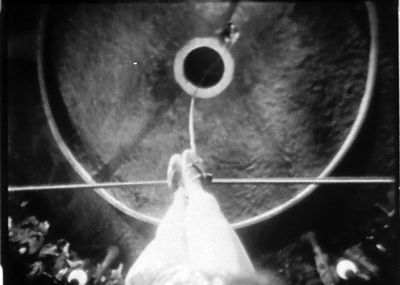 One, what I call the Basic Version, was developed in the silent era and saw the discovery of editing as the natural development of film technique. 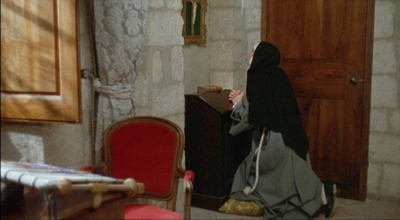 The second version, associated with critic André Bazin, modified that conception by stressing the importance of other stylistic choices, notably long takes and staging in depth. I call this the Dialectical Version because Bazin claimed that these techniques were in “dialectical” tension with the pressures toward editing. 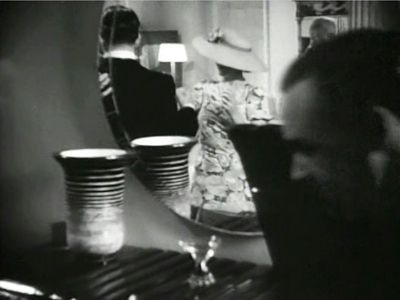 A third research program, spearheaded by filmmaker and theorist Noël Burch, argued that the development of film style was best understood as the ongoing interplay between two tendencies. There’s a dominant style Burch called the Institutional Mode. 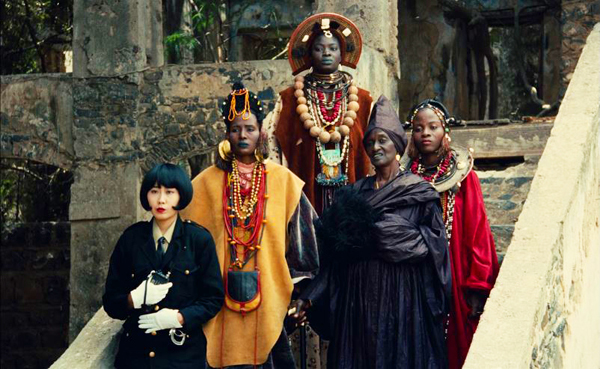 Responses to that mode are crystallized in alternative practices–the cinema of Japan, for instance, or the “crest-line” of major works associated with modernist trends. The book goes on to show how a revisionist research program launched in the 1970s built upon these earlier perspectives. Younger scholars sought to answer more precise questions about certain periods and trends. 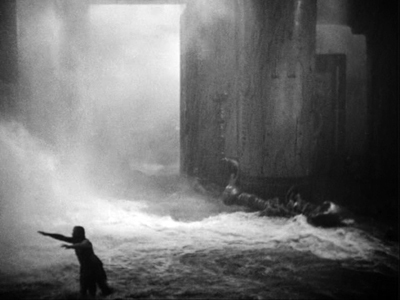 The revisionist impulse is best seen in debates on early cinema, which I survey. The book so far is historiographic, tracing out other writers’ arguments about continuity and change in film style. In my last chapter I try to do some stylistic history myself. I analyze particular patterns of continuity and change in one technique, depth staging. Certain conceptual tools, like the problem/solution couplet and the idea of stylistic schemas, can shed light on how certain staging options became normalized in various times and places. 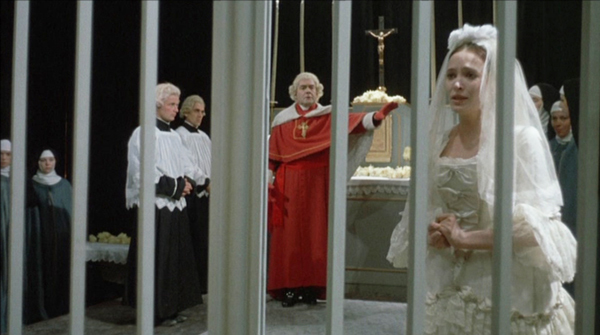 In turn, directors like Marguerite Duras, in India Song (1975), can revise those norms for specific purposes. On the History of Film Style was generally well-received. John Belton, while voicing reservations, called it “a very good book. Anyone seriously interested in Film Studies should read it.” Michael Wood wrote in a review that “Bordwell is always sharp and often funny” (I try, anyhow) and called the last section “a brilliant account of the history of staging in depth.” The book has been used in some courses, and I’m happy to learn that there are filmmakers who find it useful. It’s been translated into Korean, Croation, and Japanese. The book is available for purchase on this page. It’s priced at $7.99, a middling point between our other e-pubs. It’s a bigger book than Pandora ($3.99) and the Nolan one ($1.99), but it’s not an elaborate overhaul like Planet Hong Kong 2.0 ($15). Selling the book helps me defray the costs of paying Meg and digging up color frames. In any event, the new version is much cheaper than the old copies available at Amazon. It’s almost exactly the price of two Starbucks Caffe Lattes (one Grande, one Venti). The archives and festivals that made the book possible are thanked inside, and they’ve continued to be hospitable and encouraging over the last two decades. Equally supportive are the students, colleagues, and cinephile friends with whom I’ve discussed these issues. So I reiterate my thanks to them all. And I hope this new edition, if nothing else, stimulates both viewers and researchers to explore the endlessly interesting pathways of visual style in cinema. 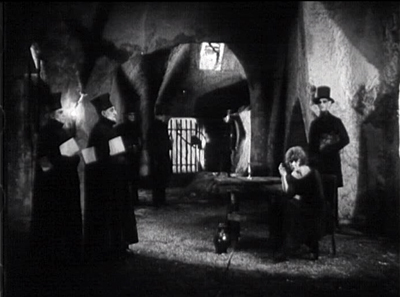 La Mort du Duc de Guise (1908).